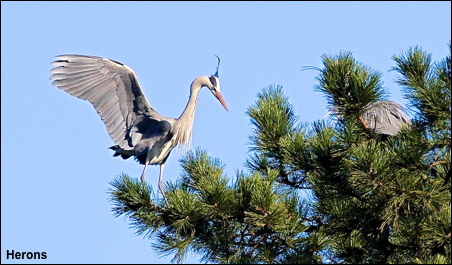 On a superb sunny day I visited my local Heronry to find six birds were present and had already re-occupied their two pine trees. Although there was much vocalisation no nest-building was seen during my one hour of observations. I was some distance from the two pines and the photos in this weeks gallery are no more than record shots.click here. The harsh weather during the last few weeks has resulted in some good local records – the Lapwings on the roof of the industrial estate peaked at a new record of five hundred. On the 7th Feb there were five Woodcock in Hopwood woods which is my second highest count in fifty years.